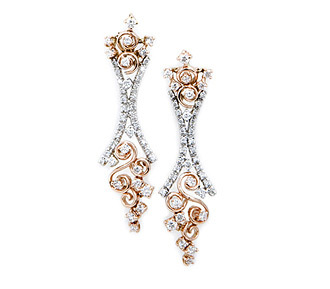 These stunning white & rose gold diamond earrings are truly eye catching. 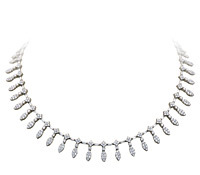 Featuring intricate twists & turns of rose gold, the diamonds appear to be suspended in air. Bridal jewelry like these rose gold diamond earrings make for a truly memorable day! 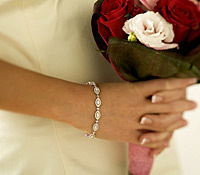 Diamonds: 1.50 TW | Gold: 14K White & Rose | Length: 1 3/4 in.